If there’s one thing you can be sure of when you travel to Las Vegas, it’s that you’ll never run out of things to do. Las Vegas is known for its pulsating energy. No matter what time of the day, you’ll always find people milling around you and establishments inviting you to come in. If you are on the lookout for an exciting trip to wrap up your year, visiting Las Vegas should definitely be high up in your list. Regardless if you’re looking for a high-limit table or lowbrow gambling and betting experience, you’ll never run out of places to go while in Vegas. You can try to bet on big games and matches, or you can try your luck in casinos and small-time gambling joints. Either way, just remember that you should know your limit, and only appropriate a small percentage of your budget for this. One of the best things about Las Vegas is the abundance of buffet places that you can go and check out. Depending on your preference, there are a lot of places that specialize in particular cuisines. Try veering away from cheap buffets and try to save up for places like The Buffet at Wynn, Wicked Spoon, and the Bacchanal Buffet at Caesars Palace. These are places where you’ll definitely get your money’s worth. There are a lot of new and grand hotels in Vegas nowadays, but there’s a certain charm to vintage hotels that have stood the test of time. While these have been modernized to various degrees, you’ll definitely still see the beauty of past structural designs from hotels like The Flamingo Las Vegas, The Sahara Hotel and Casino (SLS Hotel & Casino), and Plaza Hotel and Casino. In a city as grand as Vegas, you’ll never run out of places to go to for food and drinks. You can do wine walks, free cocktail tasting, and food fests. However, there are certain events offering free tasting that you definitely shouldn’t miss like UNLVino, Vegas Uncork’d, and the Great Vegas Festival of Beer. 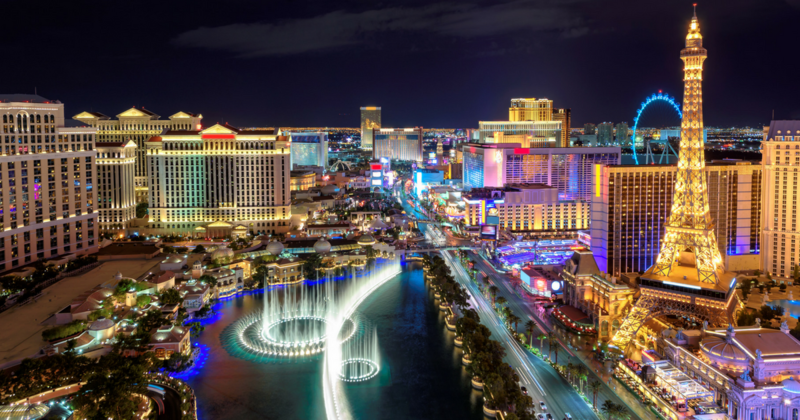 Try to plan your Vegas vacation around those events, and you’ll definitely have a great time. Vegas is littered with restaurants— both swanky and comfortable. While you can always dine in regular Vegas restaurants throughout your stay, you should at least plan out one high-end dining experience. Some of the best Vegas restaurants include Raku, Carnevino, Cut, and Joël Robuchon. Do not worry about lugging around your own mobility scooter when traveling to Vegas. Here at Yellow Scooters, we offer affordable mobility equipment rentals for travelers like you who want a comfortable Vegas experience. Experience the Las Vegas constants with ease. Contact uus at 1-855-274-3363 now to know more about our bookings and rentals!